Categories: Aircraft - Jet/Propeller Planes, Cars, Helicopters, Vehicles. Select from over 20 high-quality performable vehicles including sports cars, motorbikes, planes, helicopters, space craft and other engine sounds; then process them as part of a powerful, hybrid work flow using Granular, Synth, One Shot or Loop modules. 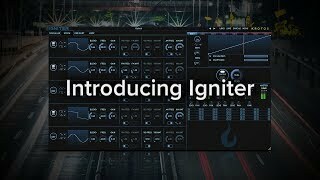 Get creative with Igniter’s dedicated FX bus for parallel processing, 10 in-built FX per module and easily perform or automate movement using up to 5 discrete layers of pan, doppler and reverb (with a collection of Impulse Responses) all from one master controller. 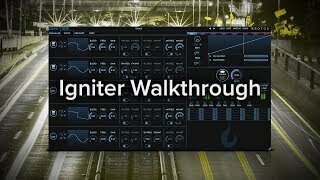 Route the output of each module back to your DAW for mixing and rendering layers or export whole files into your game engine or audio middleware solution. • Supported host applications: Pro Tools (11 or later),  Logic Pro X,  Nuendo 8.2.10 or above,  Cubase, Reaper and Ableton Live 10 and above.